Amazon may be riding to the rescue of a defunct series, and it would be reaching a bit back in time to pull The Tick out of 2001. 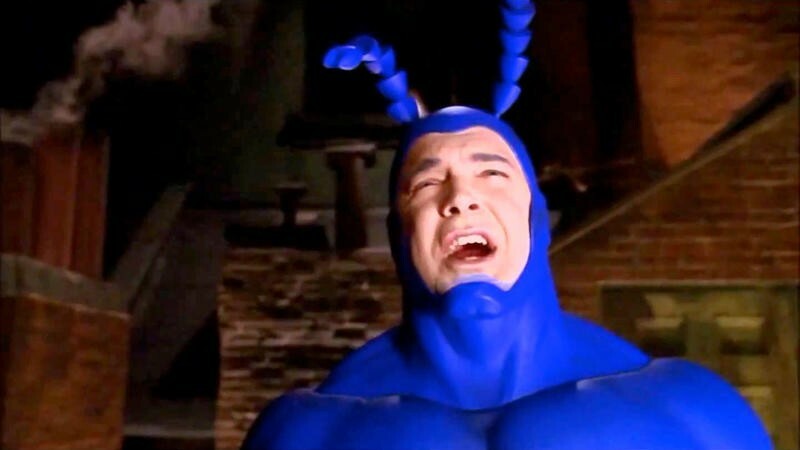 According to a source speaking with People magazine, Amazon has signed up to revive the critically acclaimed 2001 live action version of The Tick. Only eight of nine filmed episodes of the follow-up to the hit cartoon series ever aired, but it has built a cult following over the years thanks to DVD sales and availability on various streaming services. The report indicates that series star Patrick Warburton has already signed on to don the blue costume once again – and hopefully yell the infamous battle cry of "SPOON!" as often as possible – but no confirmation has been made official yet. As a character, The Tick has a fascinating backstory. He was originally created in 1986 by an 18-year-old cartoonist named Ben Edlund as the mascot for a comic store called New England Comics. He would do full stories for the comic shops newsletter that was included with orders that it shipped out to customers, and so he became known far and wide. This grew into a full comic series and eventually turned into a hit cartoon series in the mid-1990s that ran for three seasons. The live action series debuted in Nov. 2001, but due to high production costs was cancelled after its eighth episode. Bringing the series back to life after this many years will be quite a trick due to where the actors and writers are in their careers. While the other actors could be replaced, it's difficult to imagine anyone other than Warburton playing the role, so if he is truly secured to return, the rest may just fall into place, even if it's with new supporting players. What is also intriguing about this rumor is that is Amazon that is stepping in. Currently the series is available to stream on Netflix, Hulu and Crackle, so one has to wonder why Amazon would be stepping in when it doesn't have the data to show how the series might perform. Only time will tell if this rumor is true, but as someone who has followed the character since those early newsletter appearances, I look forward to another go around with the protector of The City.